Case Studies & Customer Testimonials Archives - AgTerra Technologies, Inc.
Watch the video below to see how to calibrate your SprayLogger. SprayLogger is an easy to use hardware and software system that automatically gathers application information. Simple to install, yet packed with powerful features, SprayLogger may be retrofitted on trucks, ATVs, watercraft, backpacks or other spray rigs and generates live, viewable maps and reports for every spray job. 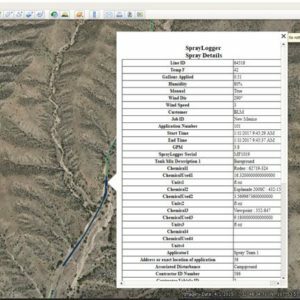 SprayLogger is simply the easiest way to generate professional application maps and reports without changing the way you spray. Now you can quickly exceed federal, state, and customer mapping and reporting requirements while avoiding the hassle and errors typically associated with making maps and filling out reports by hand. 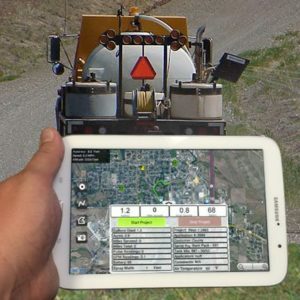 Capture and view GPS location, spray width and application details at the moment of application from all applicators on every job. Map all spray and no-spray activity in real-time with location and time. Automatically capture exact area, targets, chemical amount and type from one or many tanks, spray sections and nozzles and more. 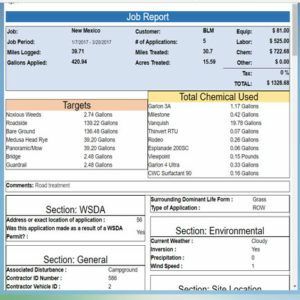 Create customized application reports that can be printed with detailed chemical usage, weather and job costing information for internal use, customer invoicing and more. Allow authorized users to view applications in real time. Export to any GIS using shapefile, KMZ, GPX or use the optional API to integrate with ESRI geodatabases. Do we have a “typical customer?” While a majority of our customers work in the natural resource industry, not everyone follows this norm. AgTerra takes pride in developing flexible products that fit into just about any role in any company. One such example is KW Three Peaks in Sheridan, Wyoming. KW Three Peaks is a real estate agency owned and operated by real estate broker Bill Rapp. In 2015, Rapp was looking for a product that would help keep his client information organized and easily accessible in electronic format. AgTerra’s Strider product fit the bill. With the help of fellow realtor Anne Feil, Rapp developed an arsenal of digital forms to document every step of his clients’ home buying and selling process. “We wanted reports that could auto-fill as well as forms that were easily accessible,” Feil said. The forms needed to be fillable on both a desktop platform as well as mobile platforms so that they could be used either in the office or at the client’s location. 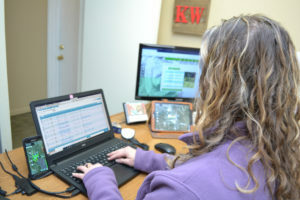 Bill Rapp, owner and president of KW Three Peaks Real Estate, uses Strider forms every day. 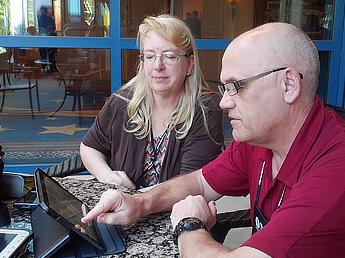 Anne Feil easily accesses forms and reports for her clients from any location. AgTerra is happy to support a customer who uses our products in such innovative ways. And when we’re asked if we have a typical customer, we say: No, and that’s how we like it! You may enter one or many email addresses. Kris Kringle threw away his clipboard and replaced it with AgTerra’s mobile app! You have to read this story to believe it! When the temperature drops and the snow starts to fall, one of our customers starts gearing up for his busiest time of the year. Kris Kringle, president and CEO of North Pole Industries, is a veteran wintertime traveler. His job requires him to make millions of stops at millions of households on one night in December. While he always manages to accomplish the task, his old method of pen and paper just wasn’t cutting it anymore. When Kringle began using MapItFast in 2017, he wanted to see all possible delivery locations for the upcoming winter season on a map. To do this, he created a Data Dictionary on the website with the most common types of delivery stops: Good, Bad and Hazard. 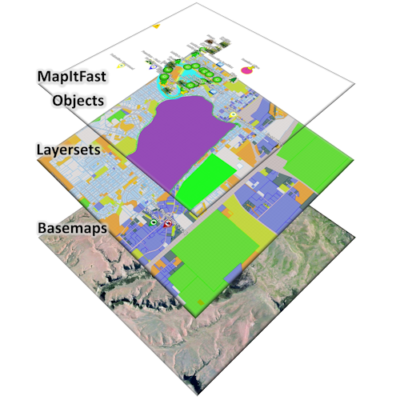 Kringle set up a data dictionary in MapItFast to make is easy for his team to mark delivery locations in the field. Active Map Triggers can turn a form into a powerful mapping tool. Triggers are set up on the Strider website..
Kringle then set up a group of seasonal users under monthly MapItFast and Strider accounts and equipped them all with mobile devices. He recalls of their training meeting: “It only took me a a few minutes to show them what to do. They learned about points, lines, polygons, the data dictionary and they were ready to roll.” During the spring and summer months, his team traveled the globe placing delivery markers in preparation for the big night in December. Hazards are inevitable in Kringle’s line of work. He needed a way to note dangerous situations for future reference while making deliveries. He used AgTerra’s Online Form Builder to create a quick and easy form for collecting the date, time, notes about the incident and the type of hazard encountered. To further integrate the form with MapItFast, Kringle also created an Active Map Trigger in Strider to automate the icons in his project. 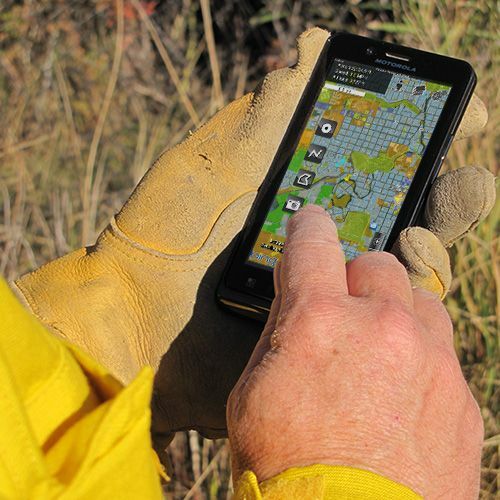 The steps for using an active map trigger are as easy as 1,2,3. Mrs. Kringle can track Kris’ location on a live, moving map so she always knows where he is on his route across the globe. Teton Conservation District was established in 1946 to promote the conservation and stewardship of natural resources through local projects, partnerships, research, and education. The District boundaries encompass all of Teton County, Wyoming, Grand Teton National Park, and Wyoming’s portion of Yellowstone National Park. The District office is located in Jackson, Wyoming. Watch the video below to see how the Wildfire Risk Reduction Program is being implemented in the Teton Conservation District. Video courtesy of Teton Conservation District. Chris Skorupa has has been working with AgTerra for nearly a year and has already been making huge strides with the software. Skorupa is the president of Beartooth Fertilizer, a company based out of Roberts, Montana, that specializes in a wide variety of agriculture services from dry fertilizer sales and application to no till drill services and custom grass seed blends, plus much more. 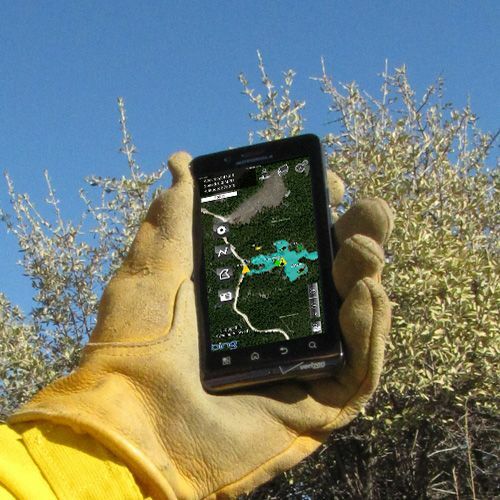 Because Skorupa’s company provides services to customers in both Montana and Wyoming, he utilizes maps to keep track of customers, crops, and applications. Skorupa turned to AgTerra after an unfortunate computer crash led to the loss of map data he was previously keeping in Google Earth Pro. 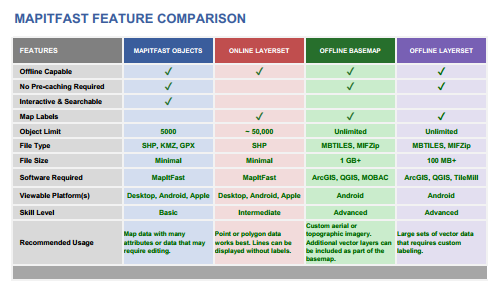 The switch to MapItFast gave him the ability to keep his data in a safe, centralized location while giving him the ability to access it from any desktop or mobile device. Chris was kind enough to share his story with us, and we are exciting to pass it along to you. Read the full story below. 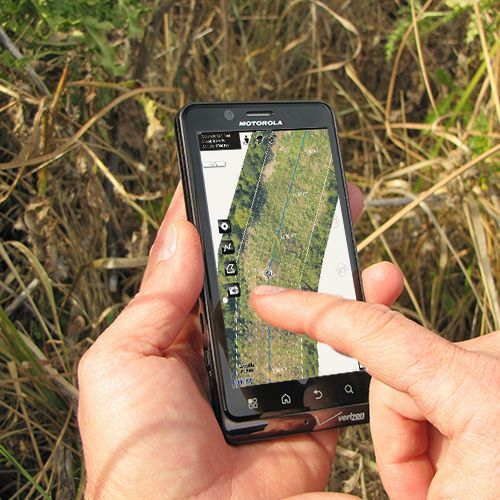 In 2015 the City of Richland Washington approached AgTerra in search of a system that was simple to use yet powerful enough to automatically track and generate reports about where they applied chemicals for their invasive species management program. They also needed a system that they could easily customize to meet the specific reporting requirements the state of Washington demanded. After an initial investigation they discovered that SprayLogger powered by MapItFast was the only system that met all of their needs and moved forward with the purchase of several units. 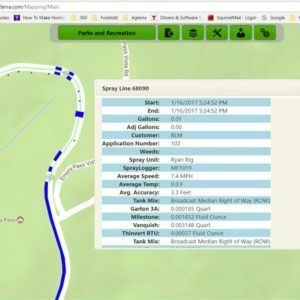 Shortly after installation they also discovered an unexpected benefit of using the SprayLogger product was their ability to also track the water usage from the city street sweeper program. After several years of use Paul Pardini, a main operator over the SprayLogger program for the City of Richland, gave a testimonial expressing his satisfaction with the response time, quality of equipment and high level of customer service he has enjoyed.